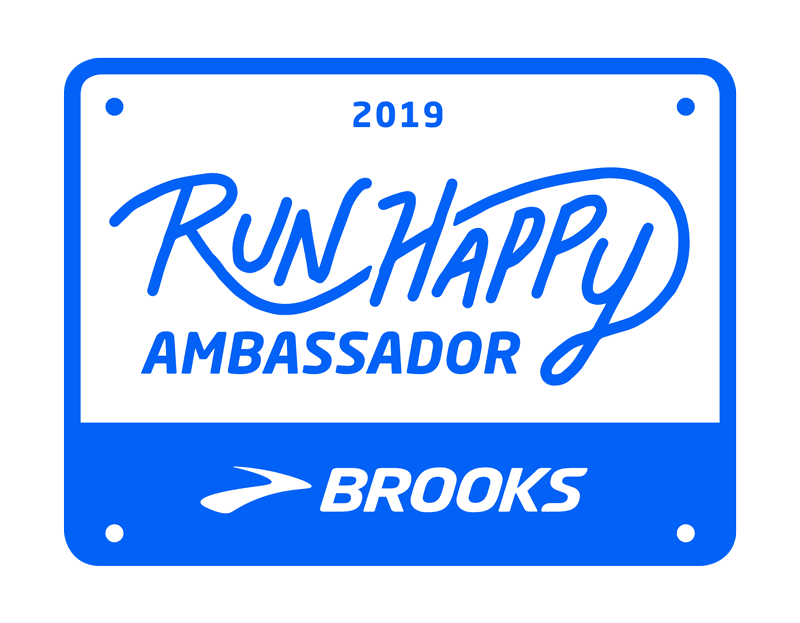 Amanda aka Miss Zippy is hosting a blog linkup for the third year in a row,with a 2013 year of running recap, so I thought I would join in because it's been a pretty awesome second year of running for me. I have been running pretty leisurely and less frequent the past few months but decided to get out there this morning and go on my last chilly run of the year! It was a great time to reflect on the year that is ending. I accomplished my goal of 13 races in 2013 (not all races had medals of course!). 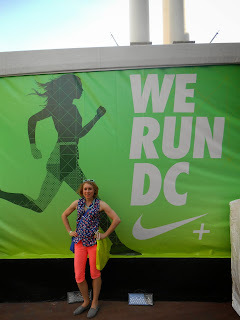 The Nike Women's DC Half in April was a pretty great race,but I think my first full marathon at the Baltimore Running Festival takes the cake. Four months of training and lots of sweat and tears went into that race. I hit my exact goal of 3:45, and it was the hardest race I've ever run. I know that it has mentally made me stronger. I hit those points where I didn't think I could do it. In the end I could do nothing but smile. I couldn't really walk for a couple of days, but that feeling of pride and accomplishment was worth it. When I had to push through all that self-doubt, insecurity, and pain during the race it was so much more emotional than I could have imagined. 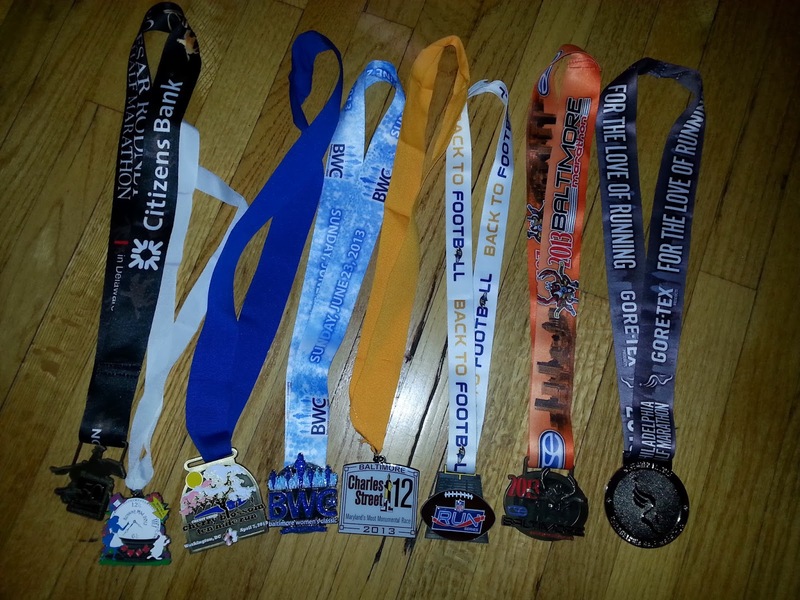 I'm ready to tackle 26.2 again in 2014. Bring it (hopefully!) 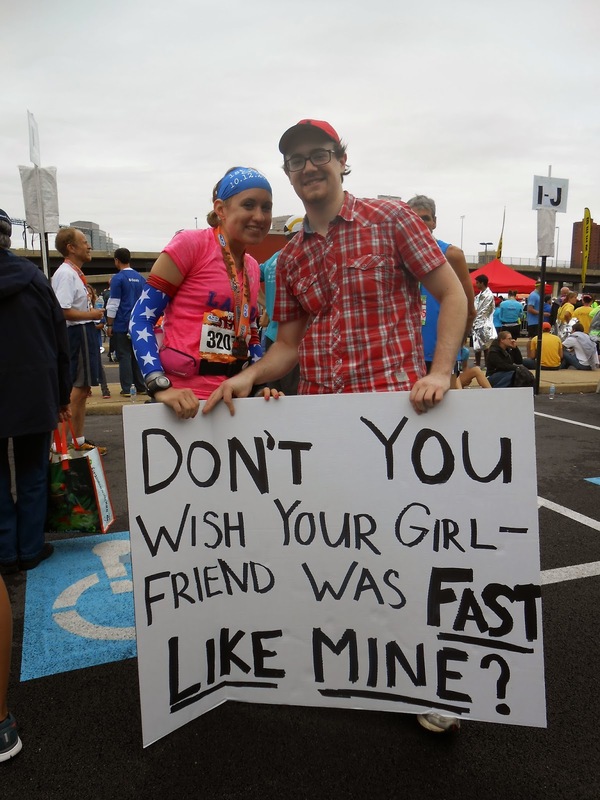 Chicago Marathon. This is a tough one because all my runs seem to blur together. 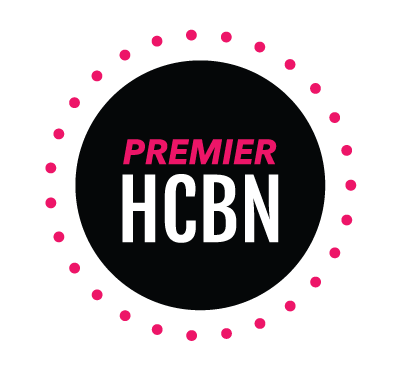 This summer when I ran my first 20 miles ever during marathon training I remember feeling great. I was on that runner's high afterwards, and that's when I knew I could run a marathon. It was a hot summer Saturday morning, and I ran pretty much all over the entire city of Baltimore with a couple of my training buddies. Besides some quad tightness, I felt good. I was smiling the whole walk home with a big iced coffee. big smiles after 20 miles! I love running sleeves! I also just received three new arm sleeves for Christmas so they are not going away anytime soon. I'm always that person that is cold in general so I have a tough time judging what to wear for temperatures. I love wearing arm sleeves for races because they can be rolled down if I get hot. I even had GroovyBaby wonder woman arm sleeves to help power me through my marathon! 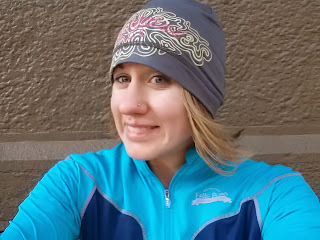 They are my favorite layering piece for cold weather running right now too. 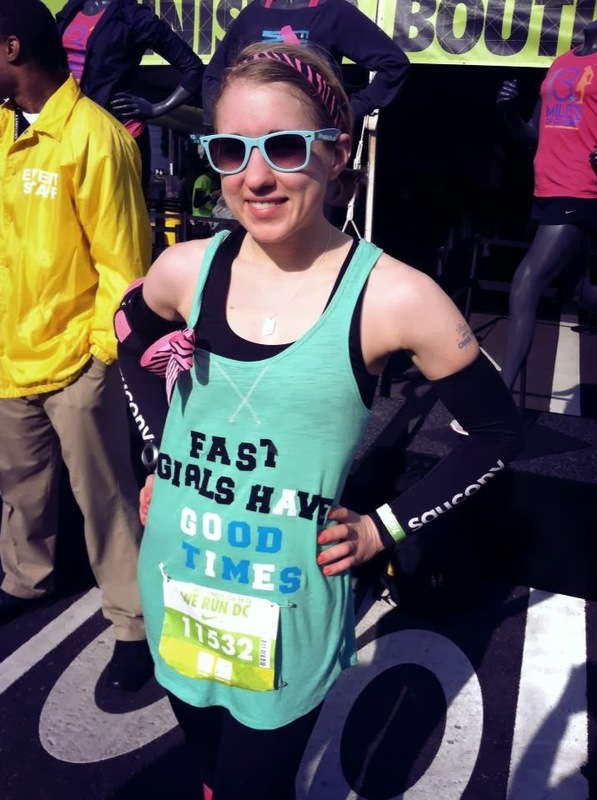 My marathon training group coach Deidre always told us "do not go out too fast" which has stuck with me because it pretty much dooms your race. I try to be cautious in the beginning of longer races. 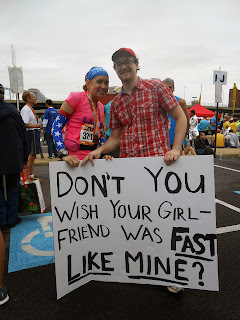 Also she always reminded us that "If marathons were easy- everyone would do them. Invite the pain, accept it, and then find something else to occupy your brain." I think that idea of accepting pain and then finding something else to think about or a mantra to repeat is really important during marathons and half marathons. I tell myself to just keep moving or focus on scenery which helps during rough patches of runs. I'm just popping in to drop some Christmas and holiday rules on you before I get back to hanging out with my family. 1. Unplug-post your obligatory holiday greeting and show off your awesome holiday food and gifts on facebook/twitter/instagram/whatever, but then leave the laptop shut off and your phone plugged in somewhere rather than in your hand or pocket. 2. Only eat one cookie-of each variety! Too many delicious desserts to fill up on one type of cookie-save room to try one of everything! I know I only get to enjoy some delicious peanut butter blossoms and Polish chrusciki cookies at this time of year so I'm going to make the most of it. 3. Be flexible- okay so you usually hit the gym in the AM and refuel with your oats or green smoothie. I'm going to partake in my mom's breakfast casserole or go to the movies to see one of the many films I want to see (I'm looking at you, American Hustle, Frozen, Wolf of Wall Street, and Saving Mr. Banks) instead of working out one day. I swear you'll survive. 4. Eat some greens-along with green tree spritz cookies and green & red sprinkles, try to eat some of the veggie platter or throw a salad in here or there. You can worry about your waistline in January, but you'll probably feel better right now with some nutritious food to fuel you through the holidays too! Balance=sanity, people. 5. Live, laugh, smile. The holidays are one of the only times of year I actually see all of my family in the span of a few days. Share your hobbies with people and spend time with others doing what they like. After all, the holidays aren't just about the food you eat, the gifts, and the decorations, but just about spending time making memories with the ones you love! Well the past few weeks have been a whirlwind, and I CANNOT believe that Christmas is next week. I've been so busy with work, shopping, gift wrapping, and attending parties. Luckily, I made plenty of time to do my favorite holiday activities around Baltimore during this time of year. Here are some of my favorite Baltimore holiday tradition and events from this year! 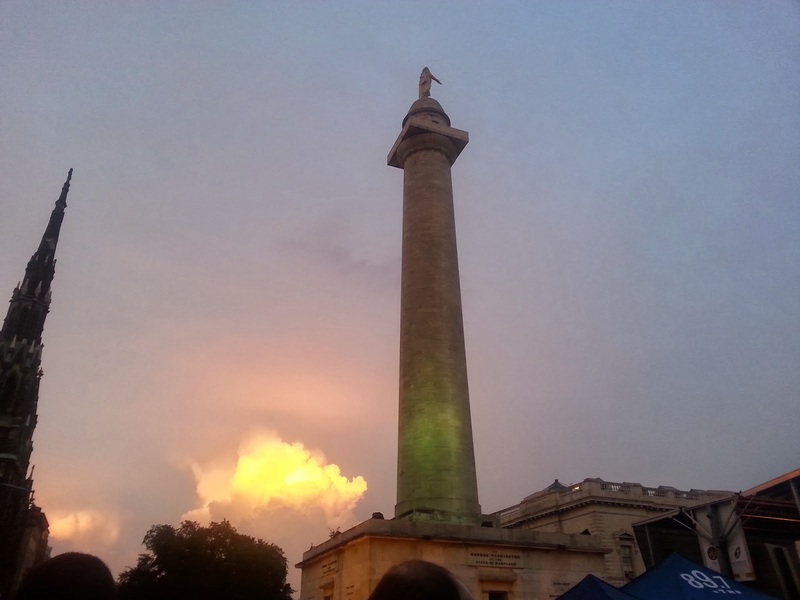 The lighting of the Washington Monument in Baltimore (which came before the D.C. one in case you were wondering) is one of the biggest holiday events of the season and happens to take place right around the corner from me. There are lots of vendors selling food and drinks along with choirs and an appearance from the mayor. 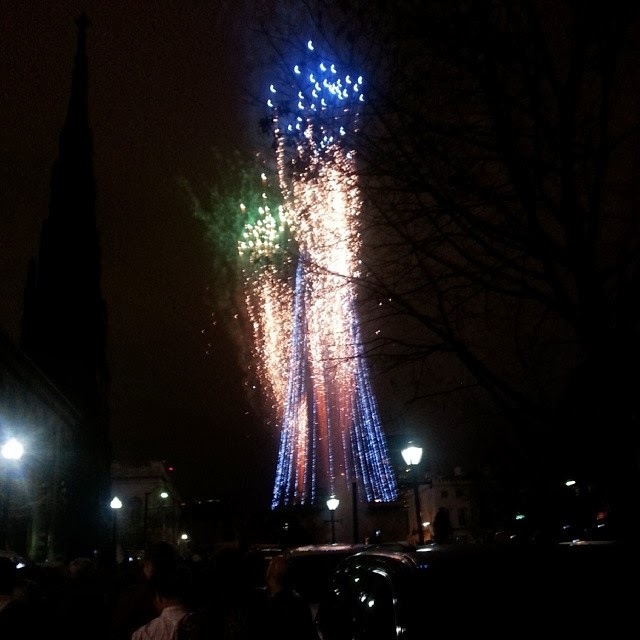 It all ends with the lighting of the monument and a firework and light show set to holiday music! 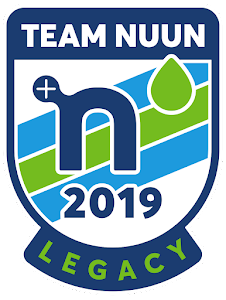 This race is my last race of the year and continues to sell out due to the awesome premiums, hot wine and soup after the race, and lore of the time it was run during a blizzard! It also starts with bagpipers and has lots of runners we're their holiday gear! You can read my recap from this year's race here! This past Saturday was the Celtic Solstice 5 miler, which is a big annual local race in Baltimore with over 4,000 runners and usually gets a mention in Runner's World like it did a couple issues ago. The forecast was calling for cold weather and snow. Don't worry, they wouldn't cancel-back in 2009 the race became infamous for runner's completing the course in the middle of a BLIZZARD. This was my 2nd race ever 2 years ago and a bunch of friends and co-workers were doing it so I figured it would be fun even though I hate the cold. It's always my last race of the year, and they happen to give out my favorite premium of the year. It's always some sort of half zip that is gender specific. I love the bright blue color of the women's Asics pullover this year! Sorry for the reflector glare! I still haven't really been running much since the marathon-I think I have the cold-weather running blues so I was feeling a little under prepared. I had some pizza the night before so there were definitely some carbs in my system to fuel me. 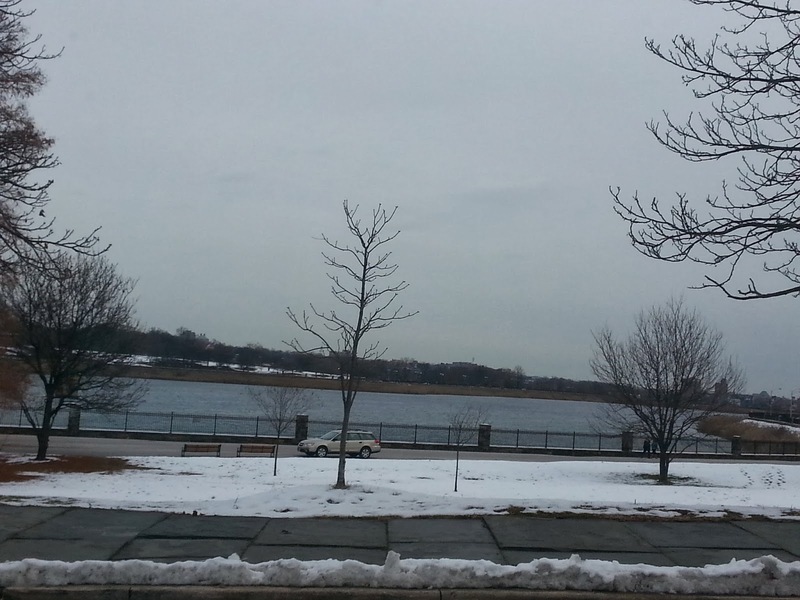 The race was at Druid Hill Park in Baltimore, and the race director warned about the parking options and as always to get there early. I hate being at races early and always cut it close but decided to play it safe and get there an hour early. Luckily, I found some of my friends, but it literally took me about 15 minutes to get my timing chip and use the bathroom and make my way into a huge tent set up where it was slightly warmer due to all the people inside. Don't want to leave the car! I'm not always good at judging what to wear when running in the cold, so I was banking on the fact that I'd be warm once I started running. I was wearing a short sleeve shirt, Under Armour coldgear pullover, long pants with compression socks underneath, knee high Christmas socks, and a Brooks ear warmer. By start time I was still freezing and couldn't really feel my toes-great. They always start the race with bagpipers in kilts and all which is super fun. However, my friends and I waited a bit too long to line up so we just kind of pushed into the crowd at the start line. This lead to the first mile being AWFUL because I was stuck behind so many people across the entire road. I did what you're not supposed to do in a race which was zig zag around people and icy snow patches to try to get to a clear spot where I could run the pace I wanted to run. My first mile ended up being right under 9 minutes. There was a big hill somewhere between miles 2-3, but honestly my legs felt like giant ice cubes I was trying to move so it sucked. I finally got into the groove around mile 3 and felt okay at my faster pace. I was running around a 7:20-7:30 for the rest of the race after the first mile and following my friend who was just a bit ahead of me. Once you get to miles 4-5 the course loops around the lake and then is downhill until the finish line. I found a girl around the lake who was running just a bit faster than me so I used her as my pacer and then eventually pushed by to pass at the end. 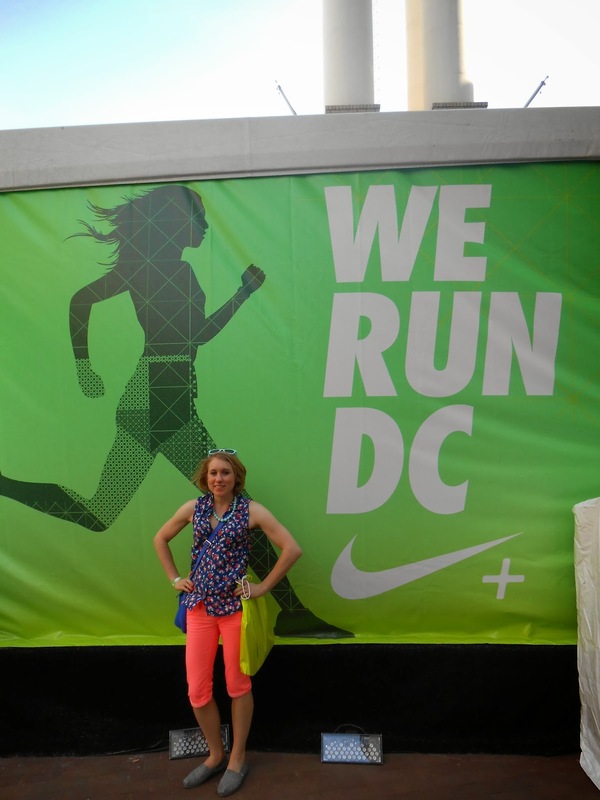 My last mile was 7:02, and I was giving it all I had. I definitely was huffing and puffing at the end and need to add some more speedwork back into my running routine before the spring! I finished in 38:41 (7:45 overall pace), which is pretty good for not really running much since the marathon. It's barely a slower time than the last two years I've run the race, but I'll blame that on the first mile! I was still 16/189 so that's pretty darn good for a race with people running sub 6 miles and all. The girl who I used as my pacer around the lake came up to me afterwards and told me I ran a great race and just beat her in the end, which is always a nice feeling. I was super sweaty and warm after finish so I think I did a good job layering. 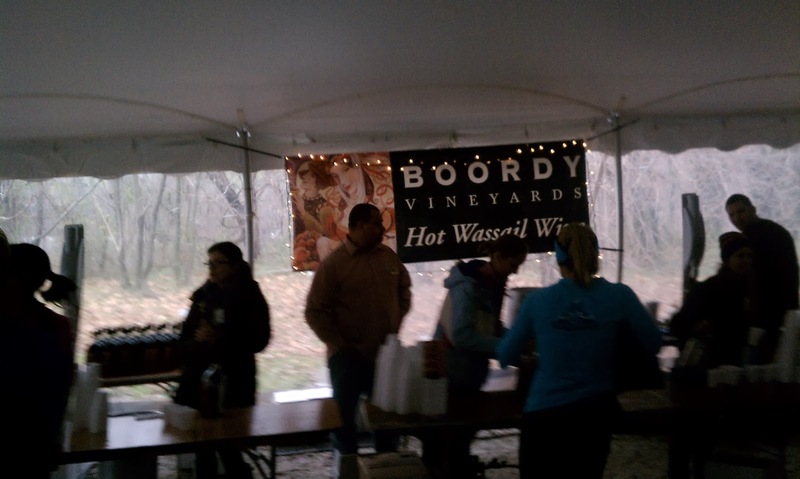 This race always has great post-race eats (aka the important things) including soup, coffee & hot chocolate from Zeke's, hot mulled wine from Boordy Vineyards,hot vegetable soup and lots of delicious cookies from a local Italian bakery, along with typical fare like fruit. I met up with some friends and eventually made the trek back to my car. Overall it was a good race, and I loved having lots of friends run it with me this year. I think it took all day for my toes to thaw, but I'll be back next year! 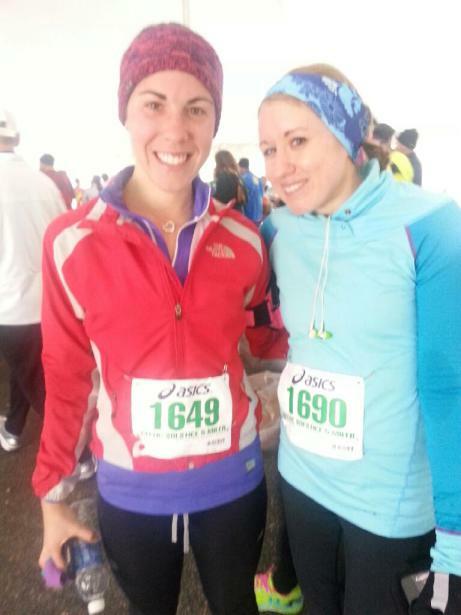 Do you run any winter races? What is your favorite piece of winter running gear? I don't have much to say about this weekend besides that it was definitely marvelous! I'll have a race recap for you tomorrow about Saturday morning's race that was indeed chilly but not quite snowy as predicted! 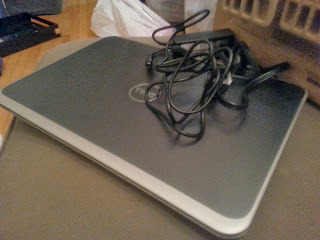 After that I mostly watched Toy Story 2 on TV, took a nap, and continued to update my new laptop. I also finally finished pretty much all of my Christmas shopping this weekend, but know that so many people still have gifts to find in the next couple of weeks so today I'm back with another gift idea for this holiday season! 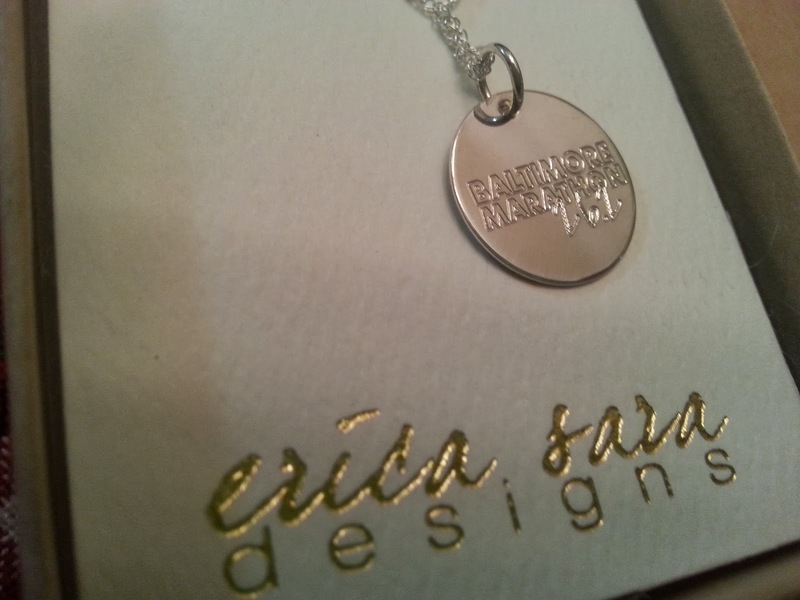 While I was marathon training, I came across Erica Sara Designs jewelry and promised that I'd treat myself to a custom commemorative necklace when I finished! Even though I was going to wait until my bank account didn't hate me, I couldn't pass up a Cyber Monday sale so I bought it. It came the other day, and I absolutely love it. 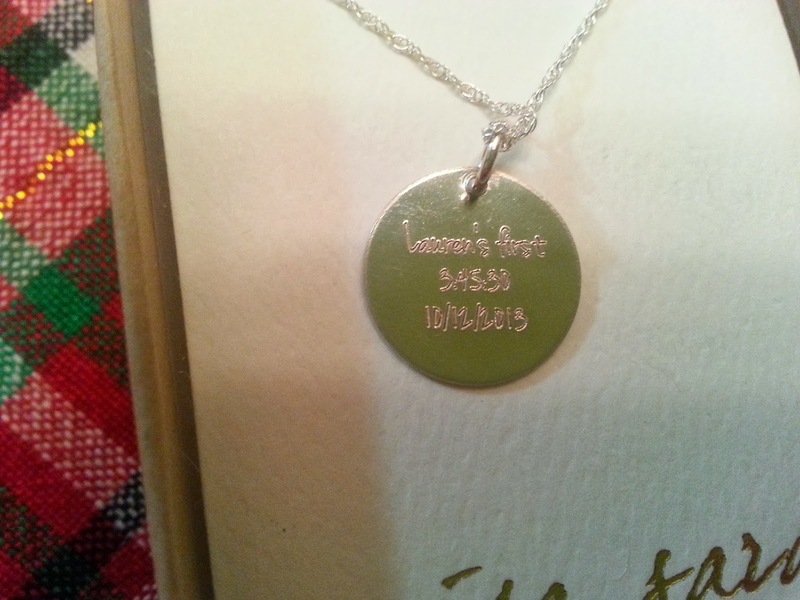 I ordered the Outline City Race necklace in silver and customized the back with my Baltimore Marathon time, date, and "Lauren's 1st" to commemorate my first marathon. It was hard to photograph because the necklace is so delicate and pretty. 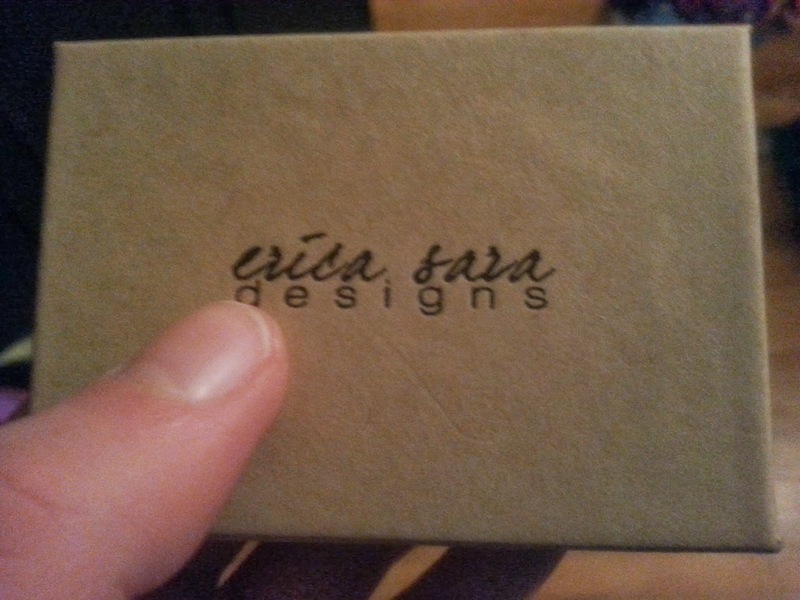 Again, you can check out Erica Sara Designs online or on Facebook for ordering details! Since a lot of the jewelry is custom I would order right away to get your gifts shipped before Christmas! Disclaimer: This is not a sponsored post, and I was not compensated in any way. 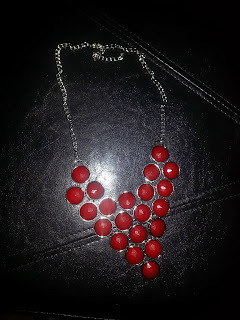 I really love the Erica Sara Designs pieces, bought my own necklace, and wanted to share with you! All opinions are my own. I totally forgot to mention yesterday that the winner of my Beats by Dre giveaway was Marcia from Too Cute Runner! Congrats! I'm so glad it's Friday- even if it is a spooky Friday the 13th! Apparently there is some wintry weather in the forecast for tomorrow which should make the annual Celtic Solstice 5-Mile Race interesting for me. They held the race even during an infamous snowstorm once so there is no chance of it being cancelled! Can I just run in my puffer coat and boots? I don't know if it's just the colder weather and the holiday season, but I have been loving having hot chocolate in the morning or after dinner this week! I have a little Penzeys hot chocolate mix I've been using with almond milk but these bad boys picture above are a homemade mint hot chocolate my boyfriend whipped up with some almond milk, cacao powder, mint stevia, and other various ingredients. 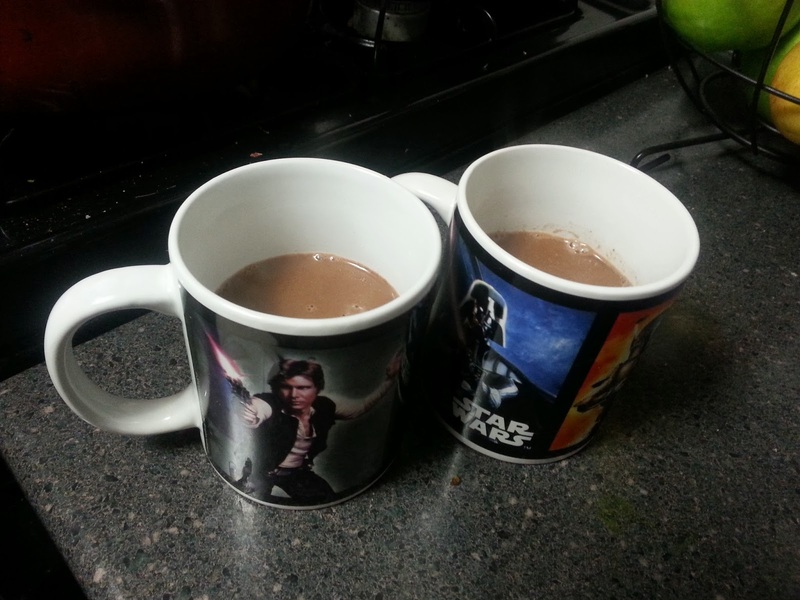 It was awesome, and yes, I called the Han Solo mug. 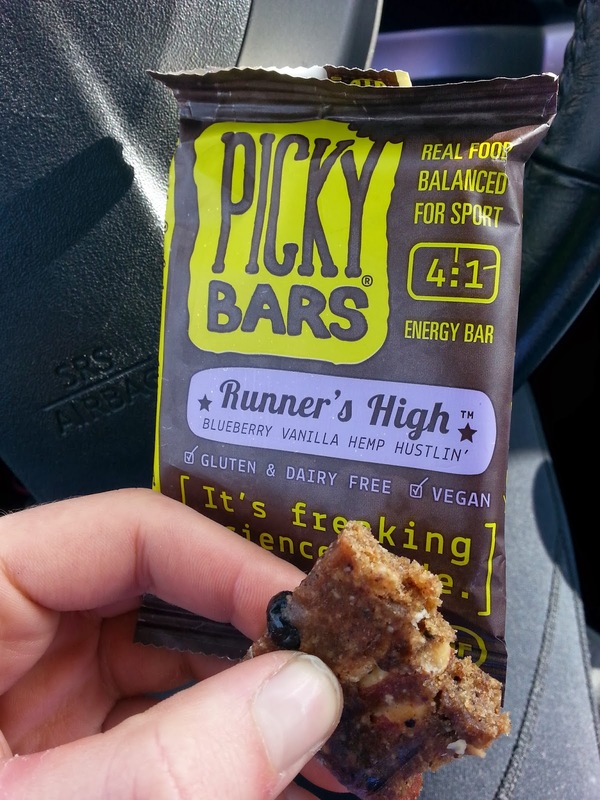 I picked this up when running errands this week and it was a delicious and satisfying snack. I saw they are renaming the bar but am glad they aren't changing it's delicious blueberry and vanilla flavor. It's also gluten-free, dairy-free, and vegan! Snow days off from work are awesome. It snowed a bit in the morning but eventually nothing really stuck and it stopped by 1 PM in the city. 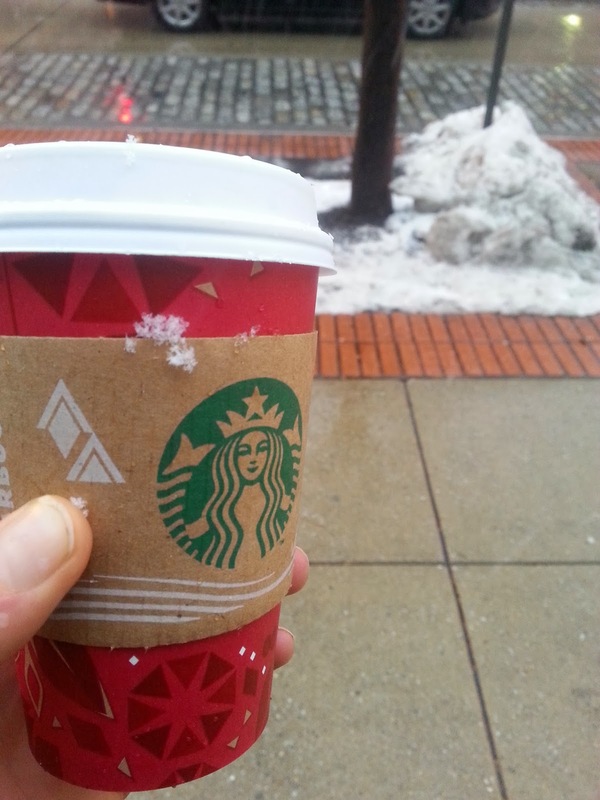 I treated myself to a little skinny peppermint mocha and a bunch of Netflix-watching. My boyfriend brought home some discounted Omaha Steaks products his dad came upon so we had delicious steak burgers for dinner this past week. 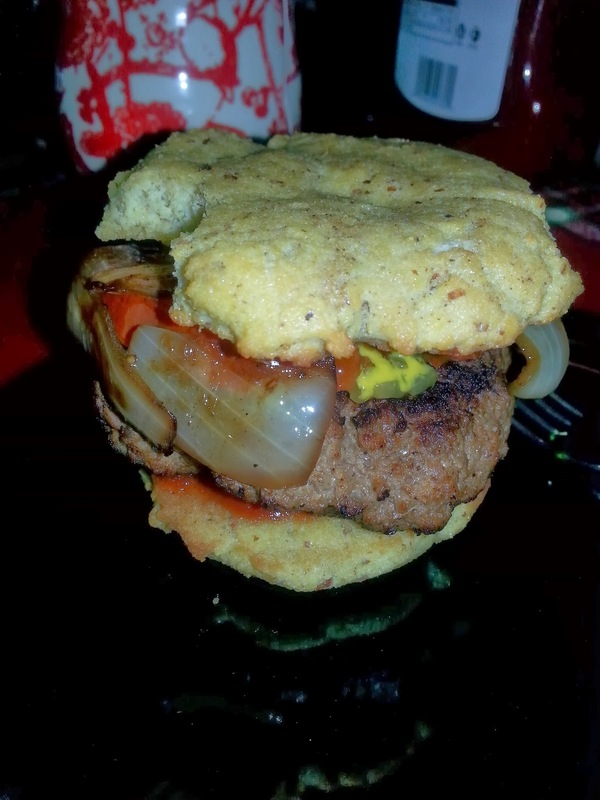 We were unprepared without any buns so I whipped up a couple of these homemade paleo burger buns with what I had lying around. It tasted more like a biscuit with the dense texture from the coconut flour, but it was delicious! Somehow burgers replaced french fries as what I always want to eat! 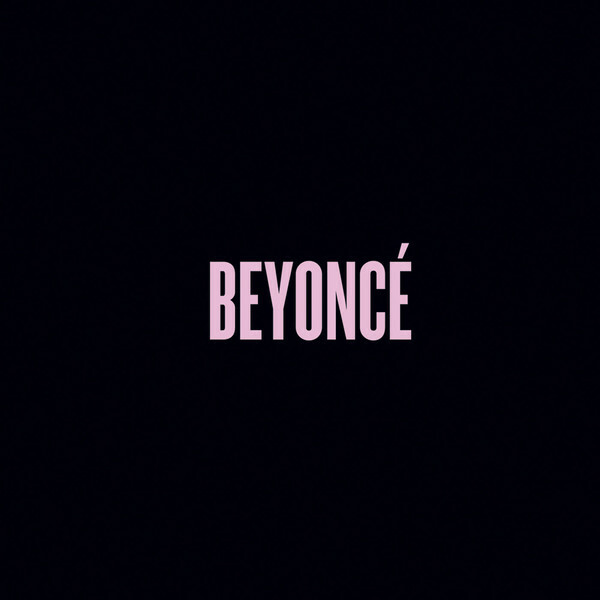 Beyonce is queen, in case you were wondering. She surprised everyone with releasing a fifth album today described as a "visual album" where the record comes with videos for each of the 14 songs. Check out some of the details here. AMAZING. Did you have a snow day this week? What's your favorite hot chocolate recipe or brand? Well it's been a crazy week. I've been super frustrated with my computer and am blaming it for the lack of progress on my grad school applications-which I will SERIOUSLY work hard on this weekend. See, I'm accountable now because I told you all. My laptop I had since freshman year of college finally bit the dust about a year ago so I have been using my dad's old laptop from circa 2003, a.k.a a senior citizen in the laptop world. The buggy Internet connections and general inability to keep up with me having 10+ Google Chrome tabs open and a couple programs running at the same time was taking it's toll on me. 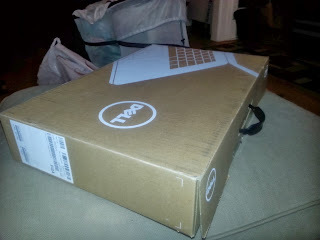 Yesterday I had a wonderful package to open-a new laptop! I purchased a Dell on Cyber Monday, and it's all fancy with Windows 8. I don't really know much about technology in detail but knew I wanted an i5 processor and a good price-I got both so I'm happy. Since I'm behind on everything, a couple weeks ago I received a special surprise in the mail. 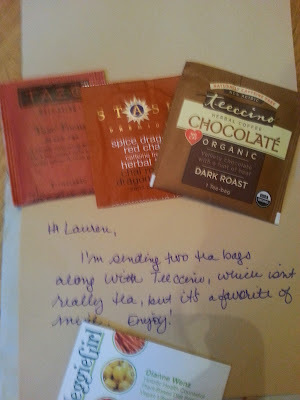 It was some tea from the HLB Tea Swap Fall 2013 that I participated in. I love tea so was excited to participate for the second year in a row. 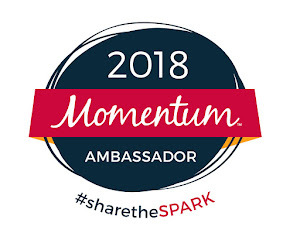 It's pretty simple-you're matched up with another member of the Healthy Living Blogs community and send them a little note and 2 of your favorite bags of tea and then receive the same from a different member. I have a bunch of boxes of tea because I love having lots of flavors to choose from, but I've had to stop myself from buying more until I use up what I have! I sometimes drink a cup in the morning and usually have one before bed at night . I love getting to try just a few bags of other people's favorite teas! I received an envelope from Dianne "Veggiegirl" (check out her great blog here!) 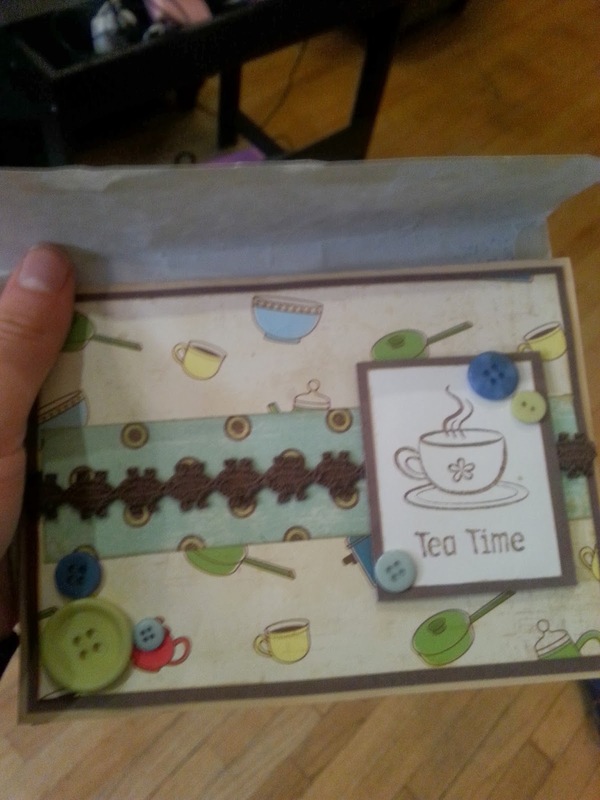 with an adorable tea-themed card and three bags of tea. I couldn't get over how the cute the card was with a few little buttons glued onto it-so perfect for this occasion! I've had the Tazo black tea before, and love chai teas so the red chai herbal tea was yummy. I brewed a cup of the Teeccino chocolate flavor last night, and it was AMAZING. I'm so glad Dianne sent it even though it's not really a tea, per say. Teecino is apparently a caffeine-free herbal coffee that is made to brew and taste just like coffee without the caffeiene and acidity, which is great for people trying to cut down on coffee or bothered by it like I can be when I'm having some tummy troubles. I am definitely going to be picking some up. What is your favorite type of tea or hot beverage (for you non-tea drinkers!)? This weekend was pretty great. I had a quiet night in on Friday. Saturday I slept in and then had a killer workout at Crossfit and picked up a little 2 foot Christmas tree from Whole Foods. Saturday night involved a fun Christmas party and meeting some new people. Sunday was a snow day where I stayed in my pajamas all day, made juice and pumpkin bread, watched football, had the fireplace going, and relaxed. Sunday's Elf4Health challenge was to make a list of 20 things you are grateful for. I participated in a challenge in November in which I wrote one little thing I was grateful for each day and found it a nice way to reflect before bed. Reflection on what you are grateful for in your life is important, not just at this time of year. I am grateful for so many things in my life, but here's 20 I could come up with off the top of my head, in no particular order. 1.My parents-They have always been there for me and are so supportive and loving. I know I am always welcomed home with lots of love and food, and they always make the holidays really special. 2.My siblings- they are both so different but so loving and funny. They have grown up so much in the past few years, and it makes me proud. 3.The boyfriend- He drives me insane most of the time, but I'm grateful for having a genuinely caring, friendly, and silly person in my life. Anyone who accepts a hobby where I'm up for races at 5 AM on weekend mornings is amazing in my book. 4. Health-Health is one of those things you aren't really grateful for until it's compromised. Volunteering at a hospital has especially made me feel lucky to have my health which allows me to go about my daily life, run, and do all the things I want to do. 5. Baltimore (aka Smalltimore)- Just last night I was talking with people about how special Baltimore is. I can't imagine living anywhere else right now. It has the perks of a city, but still a small-town feel where I still bump into people I know all the time. 6. Chocolate - Need I say more? 7. A job- In this economy I'm lucky to have a job at all, let alone one with some good people at it and lots of flexibility. 8.Sunny days-There is nothing that makes me happier than being outside with the sun shining on my face. I especially love those first beautiful days of spring when everyone spends time outside to enjoy the weather. 9. Christmas decorations and trees- Christmas is my favorite holiday probably because of all the decorations and trees that are everywhere. I LOVE Christmas lights on houses and buildings and how magical everything looks . I understand how easy having a fake Christmas tree is, but my heart belongs to real trees. 10. Having access by foot or a short drive to a bunch of awesome restaurants, the arts, and places to explore- I love living in a city with so much going on and so many places to eat! 11.Running-It has given me so much these past few years and has shown me I am stronger than I ever knew. 12. Music-It can be fun. It can be powerful. It can transport you back to a place or time in your life. It can bring people together, even in the most surprising ways. 13. My ambition- Although I am filled with self-doubt, I am grateful that I take chances and continue to dream big. I think my mentality of refusing to settle and accept things that are making me unhappy is important. 14. Animals- I'm more of a visitor to my family's cats now, but it's true that there is something calming about being with an animal. Cats and dogs in particular bring me lots of happiness each day because they are so darn cute. Hopefully soon I can get my own little pet! 15. 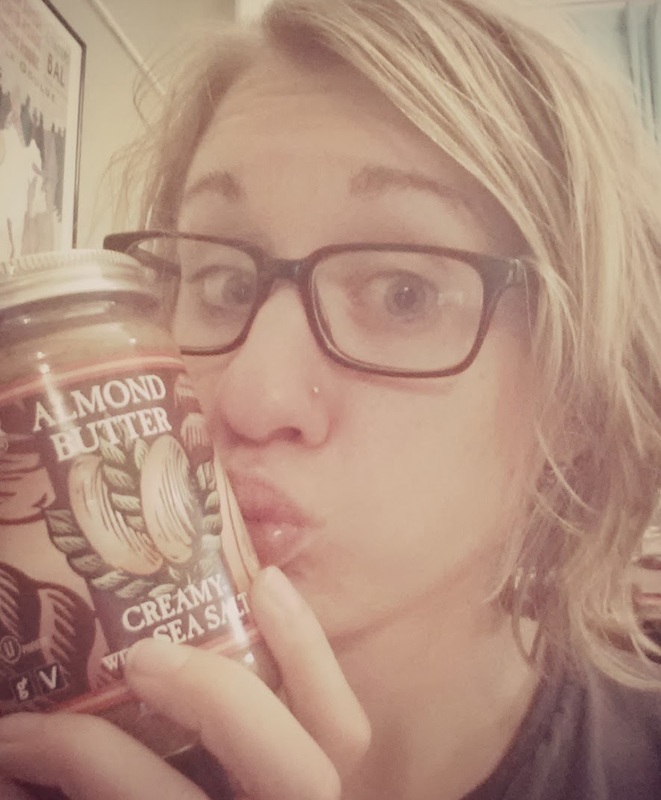 Nut butters- They are delicious and my go-to snack or fuel. I eat it everyday. 16. Old and new friends-This weekend I spent some time with old and new friends and realized how fabulous it is to have people you can be yourself with and who become part of your network or community. Connecting with people is the best part of life. 17. 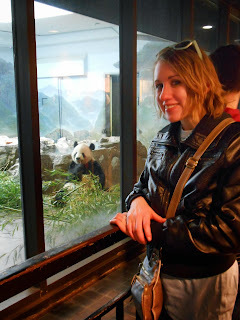 The internet- It has lots of pros AND cons, but to focus on the positives, I'm grateful that it makes it so easy to stay in touch with family and friends and allows me to connect with people all over the world via blogging and social media. It's pretty incredible. 18. Giant Pandas-Pandas are my favorite animal and for the past few months, checking in on the National Zoo panda cam online to see the baby panda and mommy makes me smile. 19. Nature- I was going to say just the beach, but feel like I love being in all beautiful parts of nature where I have those feelings of amazement and instant zen. 20. The future- I'm grateful to know that I have a bright future ahead of me. Even though I hold myself to high standards, I can accomplish so much if I set my mind to it. How was your weekend? What's something you are grateful for? Really busy today and been kind of an underwhelming week workout-wise but I did manage to get in a 5K run this morning before work. I'm starting to feel like I'm getting sick so some extra rest, apple cider vinegar shots (party animal, I know), and some tea are in order tonight! Don't forget about the 'Tis the Season campaign still going on with a chance to win a Kooshoo headband until Sunday-just show tell us how you are treating yourself this holiday season and mention I'm Fit Possible on social media! 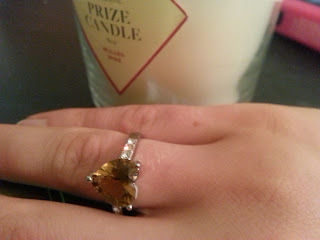 By the way, I finally got my ring out of my Prize Candle which I reviewed as a great holiday gift a few weeks ago. It ended up only being worth $10, but I think it's really pretty! Here's a look at five things I'm loving this week! 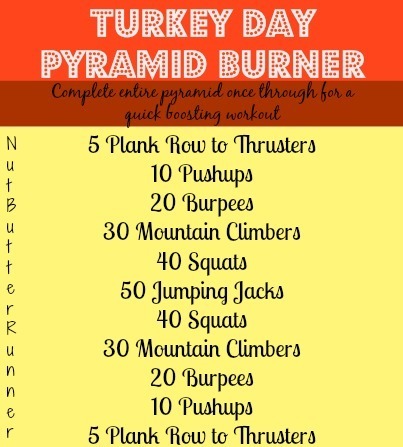 Turkey Day may be over, but this workout is sure to get your heart rate pumping! I did this yesterday when I was short on time, and it definitely got me sweating fast! I don't know about you, but with the shortened holiday season I've got a lot of parties and events packed into the next few weekends. 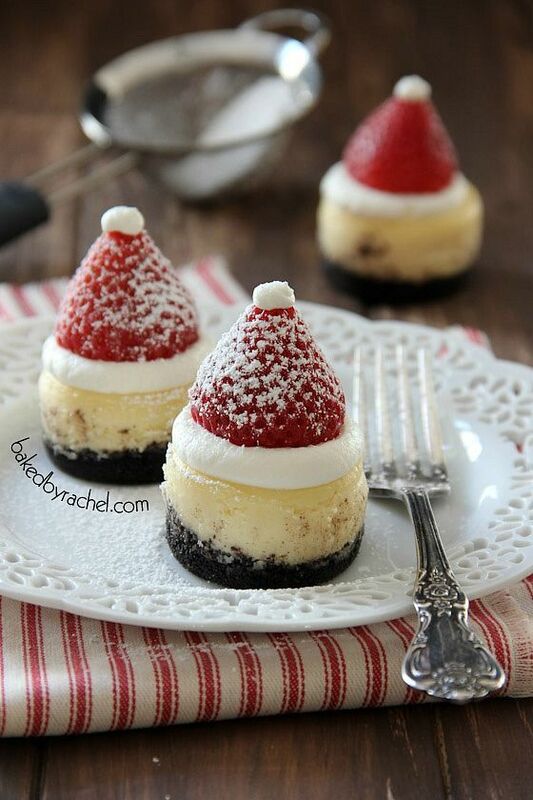 These mini Santa cheesecakes are adorable, festive, and sure to be a hit at your holiday party. I will definitely be making these for one of the many parties I'm attending!. My boyfriend and I are currently borrowing a juicer so we are stocked up with veggies and fruit to start juicing this weekend. This carrot cake juice looks like a super delicious juice to start with! I was lucky enough to catch some of the set of this awesome band made up of sisters from L.A. at Bonnaroo this summer. This song is so catchy, and I'm a sucker for some good girl rock. They were even on SNL a couple of weeks ago, and you can tell how much fun they were having! I bought this around Thanksgiving at the grocery store and sadly used the last few drops yesterday in my coffee. 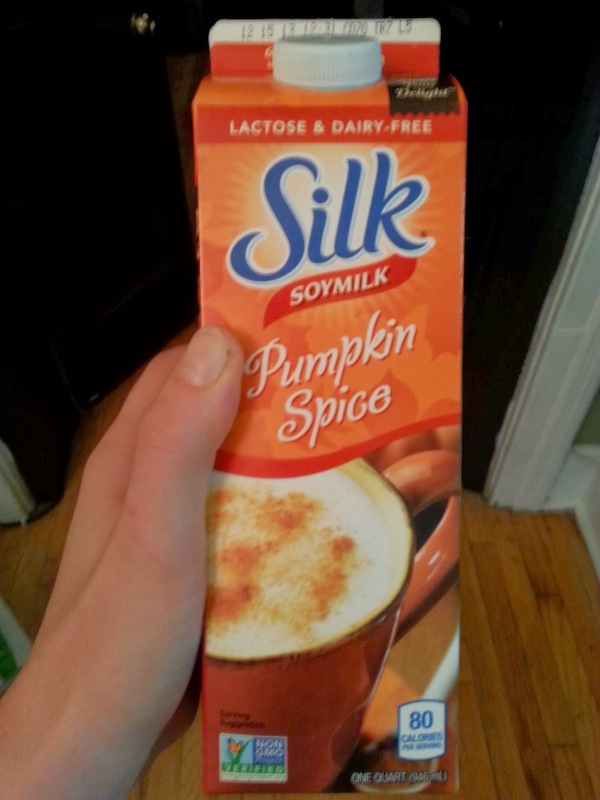 It has a delicious pumpkin flavor and was great on it's own or in coffee or oatmeal in the morning. Hopefully I can find another carton! 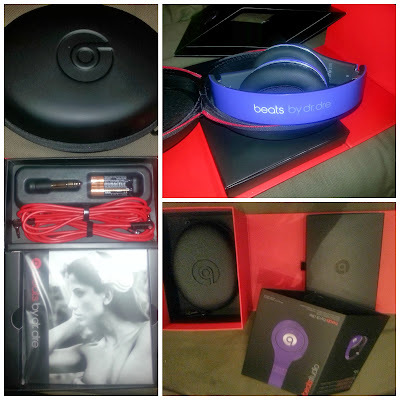 Don't forget my Beats by Dre giveaway ends Tuesday! What are your favorite finds from this week? Do you have any great juice recipes to recommend me? Well since the Philadelphia Half Marathon, I still haven't been on a running schedule, but that's okay. I've just been running when I want to and feel like it. Okay, besides Thanksgiving Day, when I wasn't super jazzed to run but thought sweating out a couple of miles before my family arrived would be a good idea. My sister scoffed at my exercising on a holiday by saying "I didn't know it was Planet Fitness in here". She's Miss Sassypants, I know. 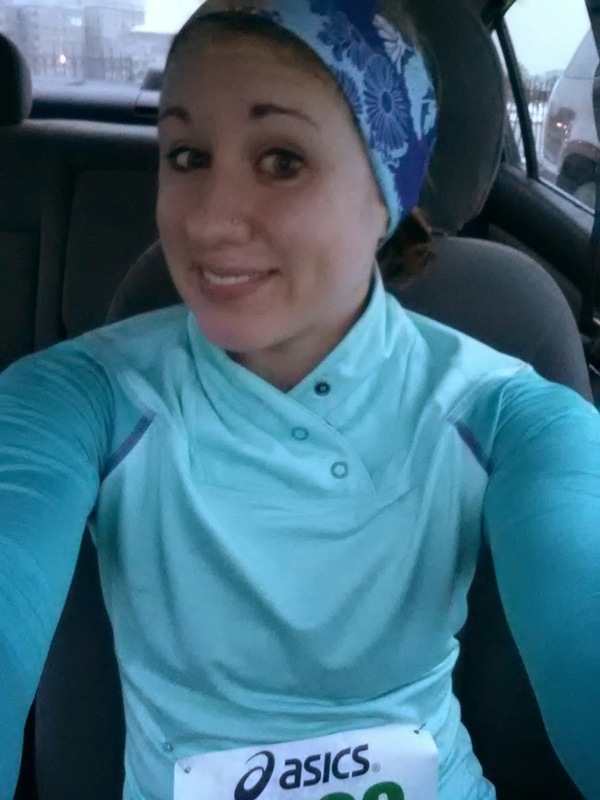 It was my "solo turkey trot" since there weren't any super close to me. Running makes me happy, and it's nice to be able to workout whenever I want when I don't have work or any obligations. I ran a bunch at home because my parents have a treadmill and I didn't have access to a gym. I can never really get into doing home workouts by myself, being in a gym is more motivating to me. This week I have gone to Crossfit twice and taken a rest day so maybe I'll run a little bit today. My new favorite thing is to run on the treadmill while watching an episode of Scandal, which is ridiculous, but entertaining enough to keep me from feeling like a hamster on a wheel. It's easier for me to be flexible around the holidays with lots of events and travelling so I'll probably set more a schedule after New Year's. 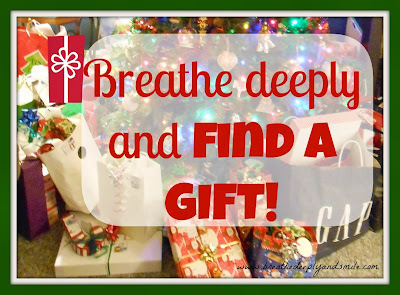 Trying to stay stress-free and happy this holiday season is the way to go (just like the 'Tis the Season campaign!). 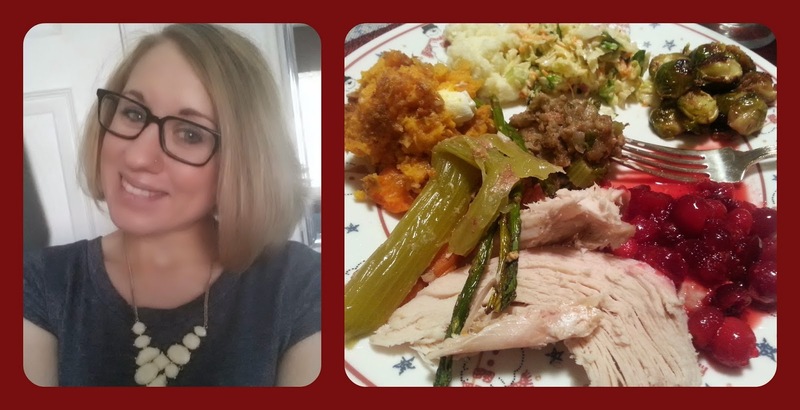 As I had mentioned, Thanksgiving was pretty great. It's always pretty low-key in my family and was full of good food, family, and football which is the way it should be. I was one of those crazies out on Black Friday. My family was never really into doing tons of Black Friday shopping, but my siblings and I have braved the crowds the past few years. I ended up going to the local mall around midnight, which was packed. I'm totally against stores being open on Thanksgiving, but there were a few deals I had to take advantage of. Both my siblings work in retail and had to go in Thanksgiving evening, which is no fun. Is it ever going to be okay again for a store to be closed for one freaking day? Anyhow, I did pick up mostly all of my gifts Thanksgiving weekend, which is a great feeling. Of course, I can't share all my great gift deals because of the tiny chance that someone might pop on here and see their gift, so instead I'll show you some of the great deals on things I bought for myself! 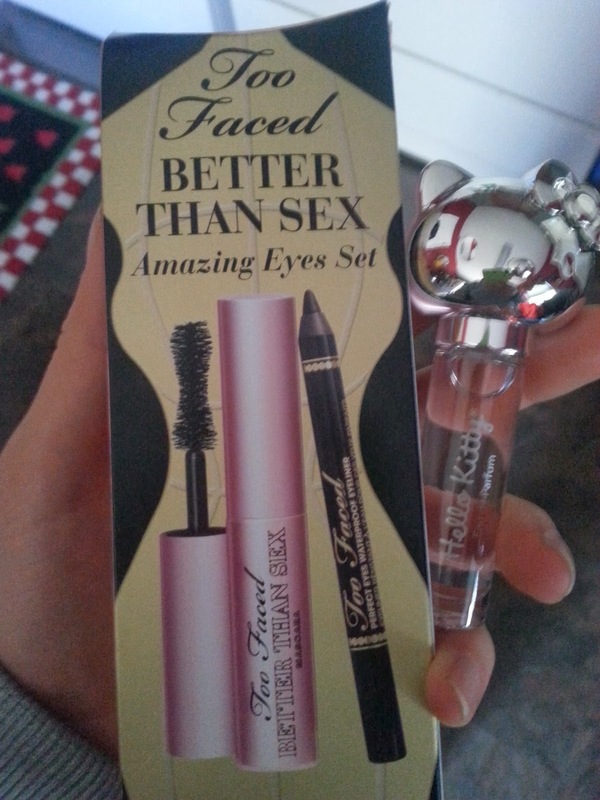 Sephora always has a bunch of Black Friday exclusive mini sets which go pretty fast. I like mini sizes because I can try an expensive brand or product without paying for a whole tube of it. Also I love Hello Kitty so I couldn't resist picking up this perfume (that actually smells great!) 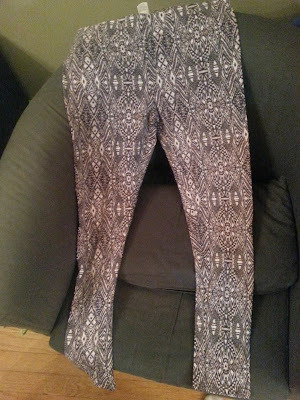 from the sale rack for around $10! Now I had written myself off as "too old" for American Eagle a few years ago, but stumbled in on Black Friday for a gift to find that the entire store was 50%! I found these cute leggings for $10 (regular $19.95) in a trendy black and white Aztec print that will go great with an oversized sweater. 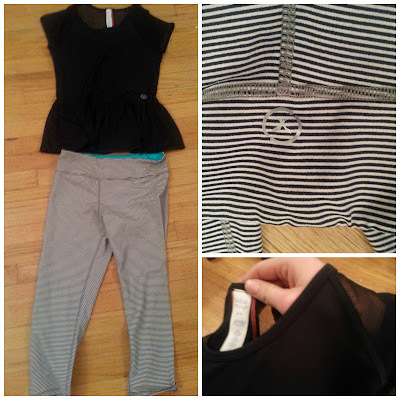 I was even more surprised to find some super cute workout clothes here! These black and white workout crops look just like Lululemon crops, even down to the brand logo on the back! I can't wait to see how they feel and hold up! I also love the touch of teal on the inside and picked them up for only $19.95 (regular $39.95). Yes, that is a peplum black workout top. Peplum for working out seems weird, but I had pick up this cute top which was already on clearance plus an extra 50% off that price. 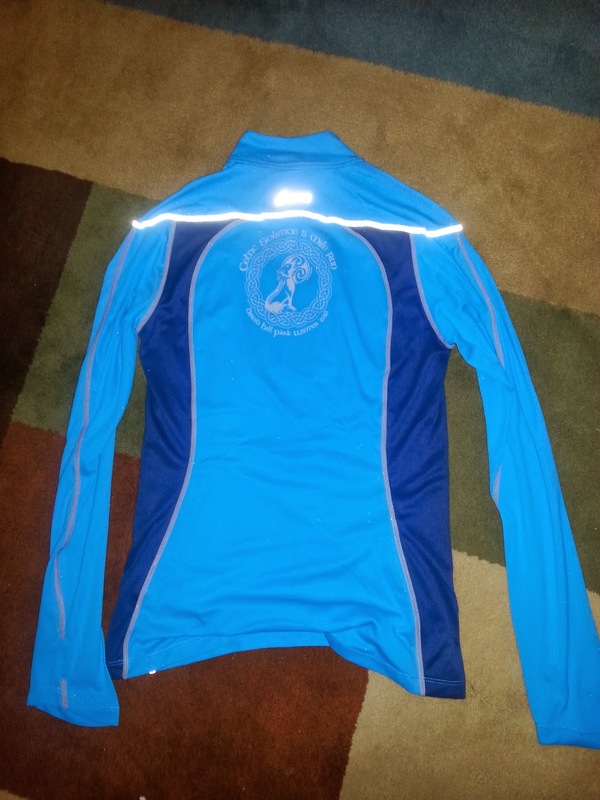 The fabric is really breathable and stretchy and the sleeves are made of a mesh material. It's a great top to wear from the gym to the grocery store. 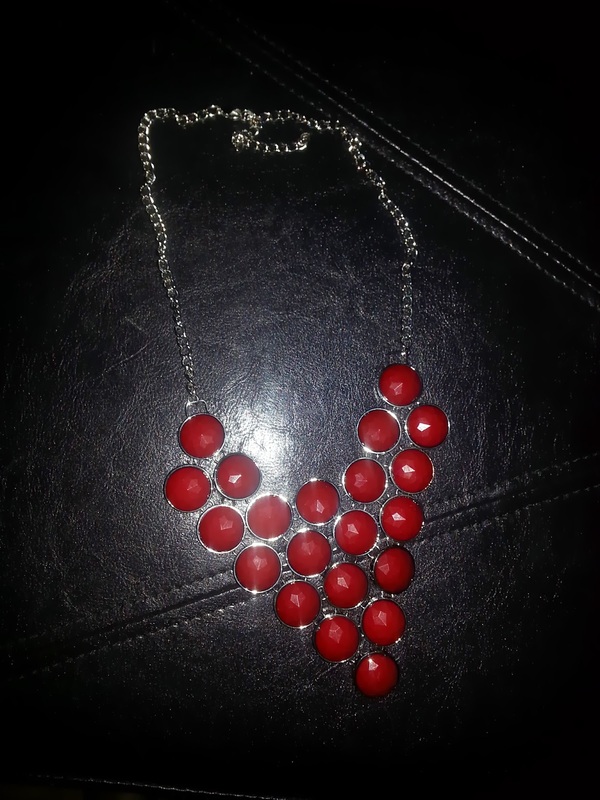 I love big, colorful jewelry so I picked up this necklace to wear to a holiday party this weekend. I think it's the perfect Christmas red color. I also love wearing scarves in the winter and found this chunky knit scarf. 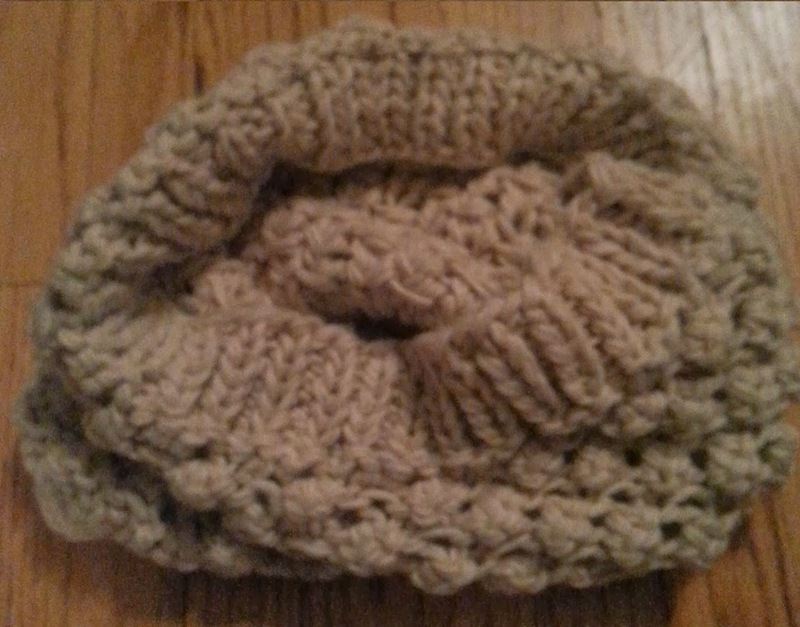 It'll be great with jeans, boots, and a big sweater. Both of these items were 50% as well! I picked up this sleek BlenderBottle originally $14.95, for only $5! I couldn't pass up a deal like that especially since I'm always have to wash out the same two bottles I have, which is a pain when you don't like doing the dishes. 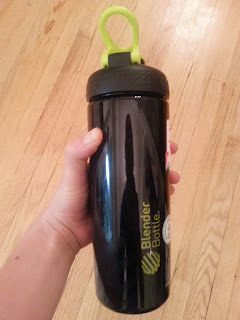 I love the lime green hook on the lid and the bigger size which is great for holding protein shakes. So as you can see, I got some pretty sweet swag from Black Friday. It's nice to only have to pick up a couple more presents and be able to enjoy the holiday season. Did you go shopping on Black Friday? What deals did you cash in on? 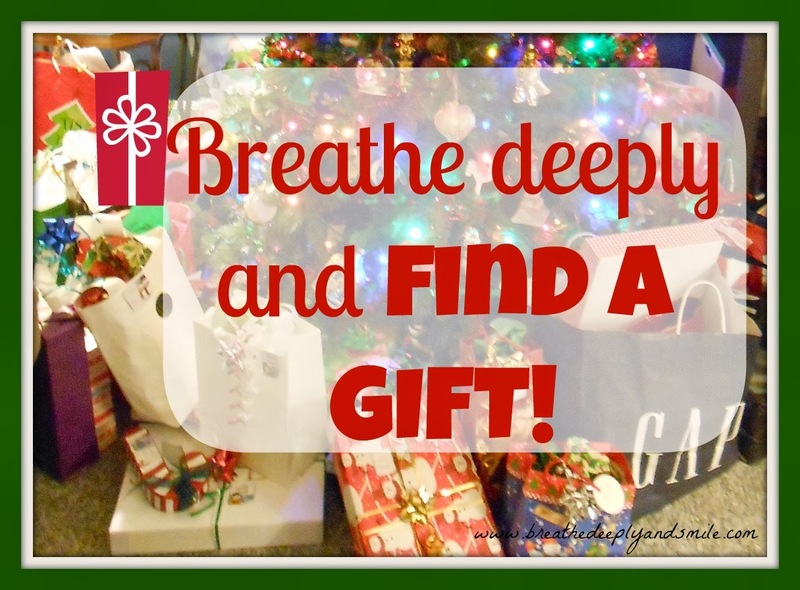 Breathe Deeply and Find A Gift #2 and Giveaway-Beats by Dre! Now that Thanksgiving is over, we are really in the midst of the holiday season-especially with a shorter than normal shopping season. I took a break from most social media, as I like to do when I visit my family. It was nice to just watch movies, eat, and go shopping with my family. I did do some Black Friday shopping and got most of my holiday shopping done this weekend! Today I have another awesome great holiday gift to share with you today that I saw advertised everywhere! I'm not going to lie, I am not super into entertainment technology-it's just not something I spend a lot of money on. I have a really old big iPod and also an iPod shuffle I use for running. I had been using cheapie headphones until I received some Yurbuds for running last Christmas. I love listening to some good jams during my runs or workouts. Other than that I use a $20 pair of earbuds I bought for listening to music on my phone or computer. One of the hottest products of the past few years has been the Beats by Dre headphones. I was really skeptical of the sound quality of headphones with such a big price tag on them. Beats not beets! My boyfriend makes this joke all the time. I love listening to music when travelling, in the car, on my way to work, and when I'm cooking at home. I'm a total music addict,so I was excited to see what all the rage was. 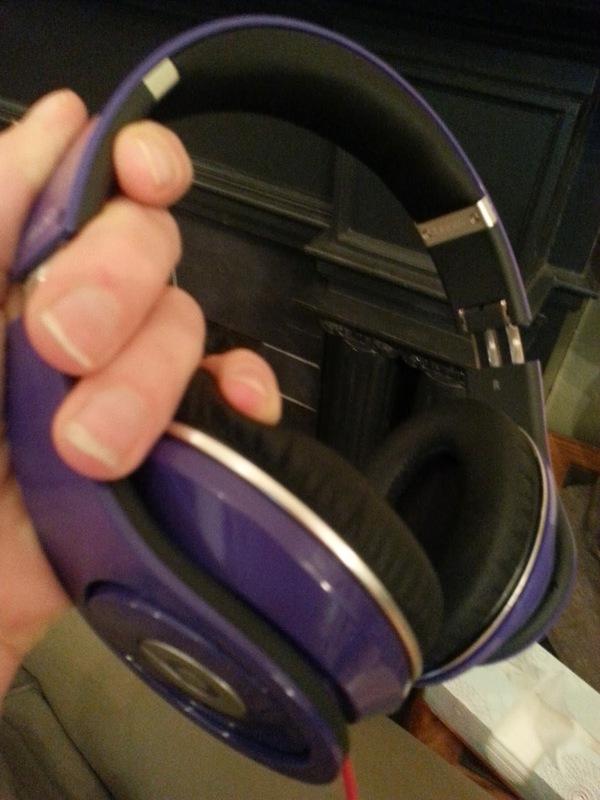 I decided to go with the purple Beats by Dre Studio Over-Ear headphones. I was really surprised that the headphones arrived from Staples.com 2 days after my order was placed! The headphones came folded in a stylish carrying case with a little cleansing cloth, two AAA batteries for the headphones, an audio cable and adapter, and a remote & mic cable. I skimmed through the manual, but it was pretty easy to figure out how to use the headphones and pop in the batteries. I was pleasantly surprised by the Beats by Dre headphones. Fit: The headphones felt super comfortable on, not too tight and with super plush ear coverings. The fact that they fold up and fit the carrying case made it easy to safely throw them in my bag and take them with me. Flair: The purple color is so fun and looks great in person. I loved the stylish look of the headphones and accessories. They weren't super big or bulky looking either. Function: I love how the logo on the side is also a mute button so I could take a moment to talk to someone if I was listening to music. This is great if you are lifting in gym or getting some work done. The remote & mic cord allows you to take phone calls (when synced with your phone's bluetooth), skip songs, and change the volume right from the cord. The headphones had a really crisp, clear sound which was especially great for listening to my favorite dance jams like Lady Gaga's new album (which has been my go-to album to workout or jam out to!) I wore them in the car ride up to my parents' house for Thanksgiving and the noise cancelling aspect was great for blocking out highway noise and the radio. Overall, I was very impressed by Beats by Dre. The headphones made a huge difference in the sound quality compared to my cheapie headphones and laptop speakers. I loved the way they look and all the special features of them. 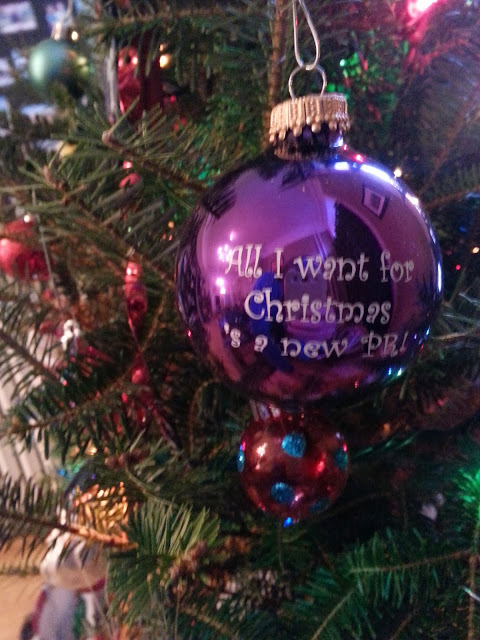 This is a perfect gift for any of the music lovers on your list. Staples is so awesome that they are allowing me to giveaway any pair of Beats by Dre headphones up to $100 to on of my readers! This could help you check somebody off your Christmas list or be a great treat for yourself this holiday season! 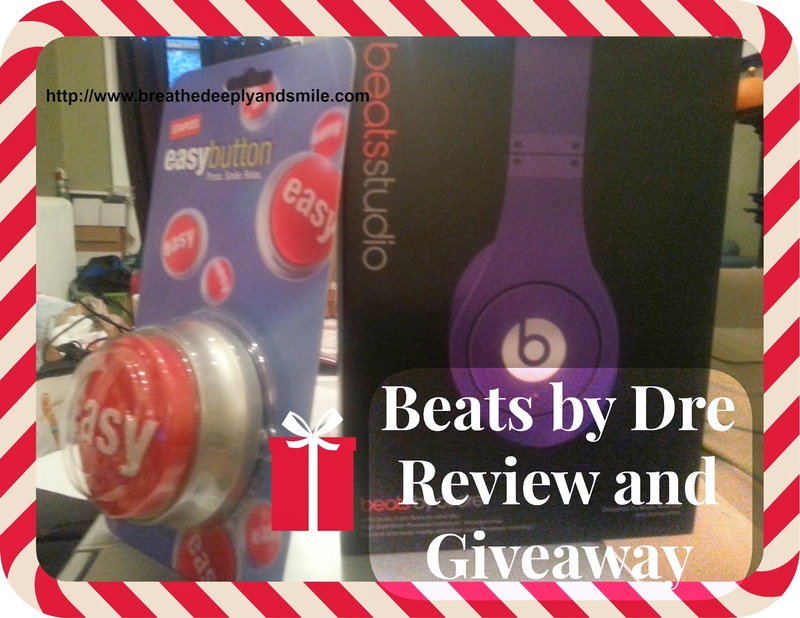 To win the Beats by Dre headphones (value up to $100 from Staples) giveaway, enter using Rafflecopter below until Tuesday December 10th at 12 AM. 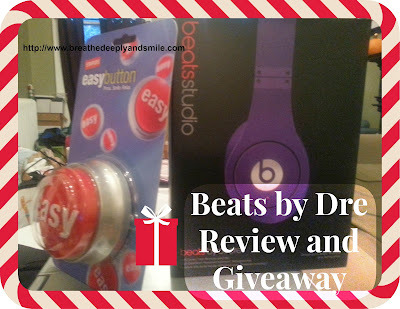 Disclaimer: Staples sent me a complimentary pair of Beats by Dre of my choice to review and is also allowing me to giveaway a pair of headphones to one of my readers. As always, all opinions are my own.